If you absolutely love Android Smartphones and could easily live without the Windows and Apple also-rans, this article is especially for you! You may have a relevant business requirement that defines the best OS for your daily strategy, or you may simply prefer the more original and bespoke style that this platform has on offer, but you know what it is you like and this is why it just has to be Android. 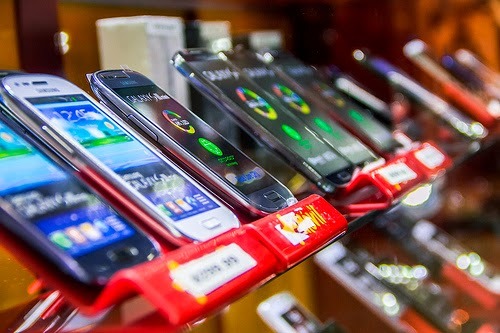 2014 has seen some rather cool developments out there in the world of Android compatible Smartphones and sometimes this can be a little confusing when deciding on your next handset. We have chosen 3 of these bad boys and hopefully you can narrow your own choice down considerably after reading this short article – Enjoy! Okay, we know that this model isn’t out just yet but we love the darn thing so much we’ll include it anyway. Rumours have it that the G3 should be hitting the shelves in September and it may well be out there as a rival for the mighty iPhone 6? The G3 will rock an octa-core processor and will mirror the iPhone 5S with its move to 64-bit architecture. Display-wise, the G3 is going for an impressive 1440 x 2560 pixel Quad HD offering! This brings it up to 2k standard resolution and there’s also a non-too shabby 16 megapixel camera onboard. There is little doubt that the G3 will manage to win over far more converts than the G2 ever could and we cannot wait to see this Android powerhouse in about 6 months from now! Before you say it, no this is not an LG tribute page, but they’ve just managed to capture our imagination so far in 2014! If you have a penchant for an uber cool looking handheld device, this bad boy should be your first choice. Taking on the mighty Samsung Galaxy Round with some style, the G Flex is a very fine specimen indeed. The 6 inch curved screen is only one of a myriad of fine features that will make this premium priced Smartphone such a great seller in 2014. As well as a 13 megapixel camera, the quad-core 2.26 GHZ processor is not to be sniffed at either. 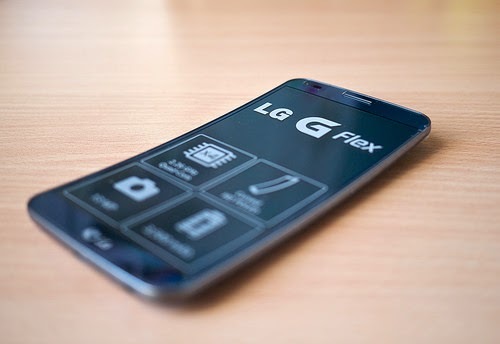 You might want to wait a little if the $900 price tag is a little scary but if you like being the centre of Smartphone attention, the G Flex will do that in a jiffy! Still a very popular brand amongst Android Smartphone fans and the reason for that is plain to see. Although it may not have the same appeal as a High efficiency air conditioner, the S4 continues to impress with its serious business-like attitude. The 13 megapixel camera and plethora of bespoke features is only one of the reasons this has sold so many units worldwide. You can get up to a massive 64GB of space and when you combine that with the 1.6 GHZ Cortex processor, you can hardly say no to the mighty S4! Therein lies the problem, make up your own mind and if you have enough cash, why not get all 3? Today's featured writer, Nancy Baker, is a freelance blogger, who often writes for Constant Home Comfort, providers of air conditioners in Toronto . She likes to practice yoga to stay healthy and fit. You can also follow her on Twitter @Nancy Baker.